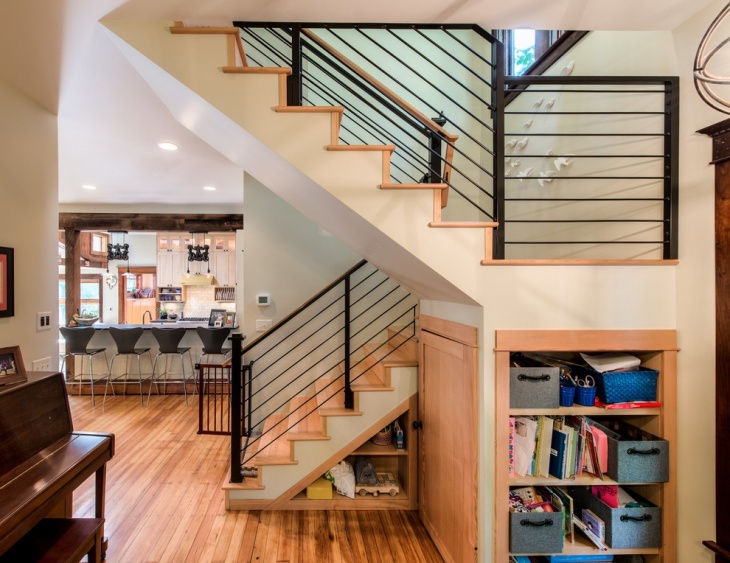 Stair railings are important features that should always be considered when building homes and other structures that require stairs. Stair rails are regular railings and they are installed on stairs to provide something to hold onto as people walk up or down the stairs. 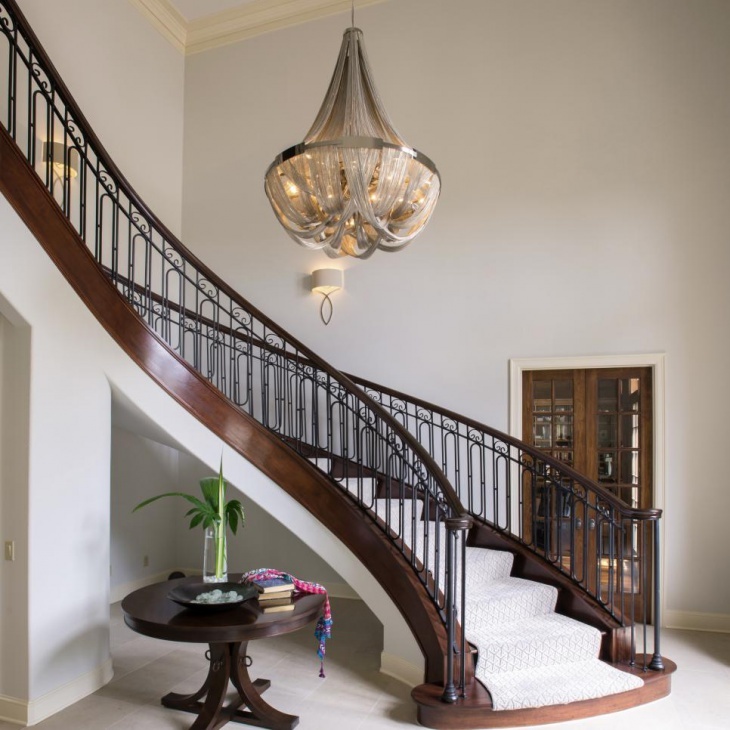 You can use a stair rail for any kind of stairs that you have in mind (like spiral staircase, straight stairs, quarter landing, or half landing). If you are looking for stair railing design that would fit into your home plan, the following images should give you some great ideas. 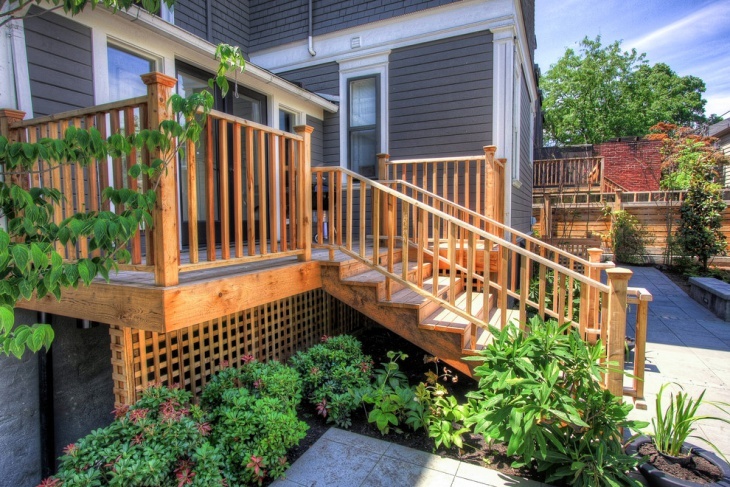 If you are looking for outdoor stair designs, this deck stair is a good choice. This set of deck stairs is wide and it provides shade. 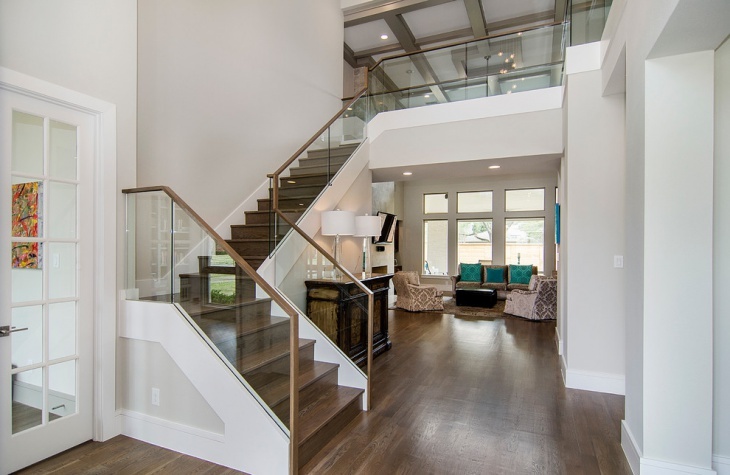 The aluminum stair railing extends to the front and side parts of the upper deck. The dark stair railing used for this carpeted staircase is contemporary in design and it provides additional aesthetic appeal to the home interior. The matching side railing adds extra support for ascending and descending movements. 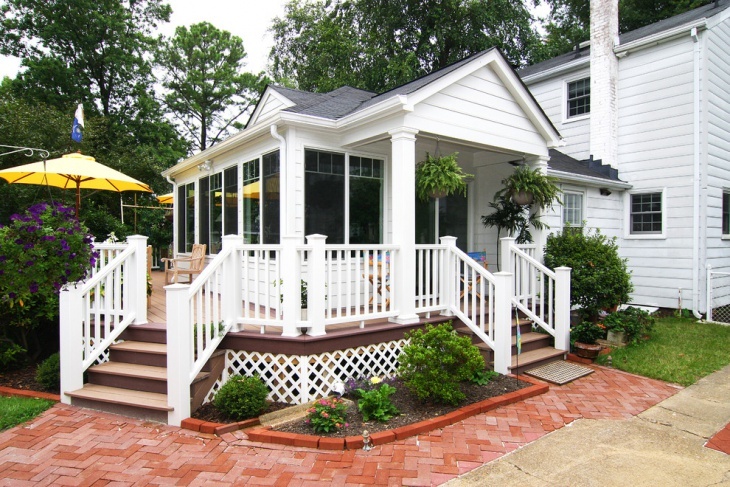 This wooden deck offers a great outdoor retreat for the family. 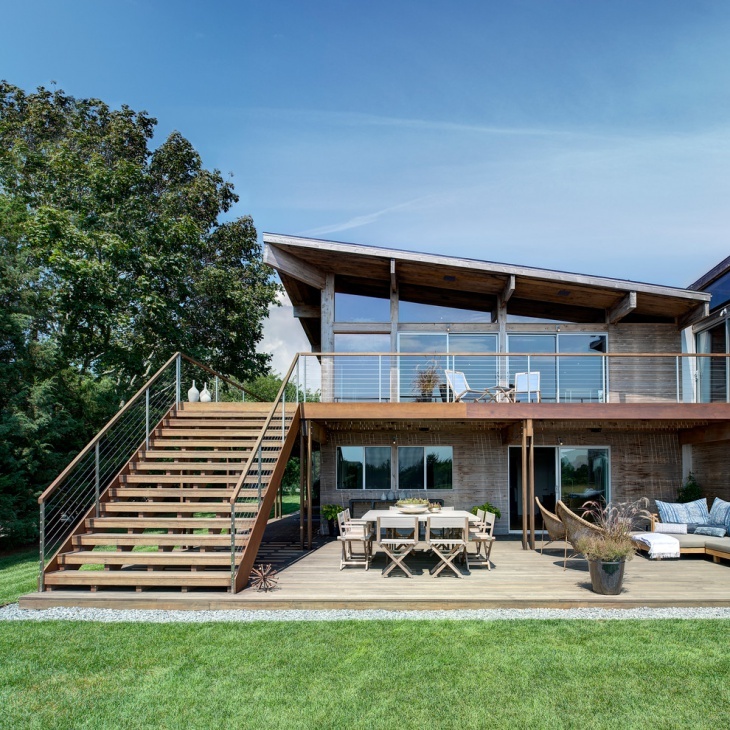 The stairs and the stair railing are made of similar wood material, making the whole set up a truly magnificent and natural feature attached to a modern home design. 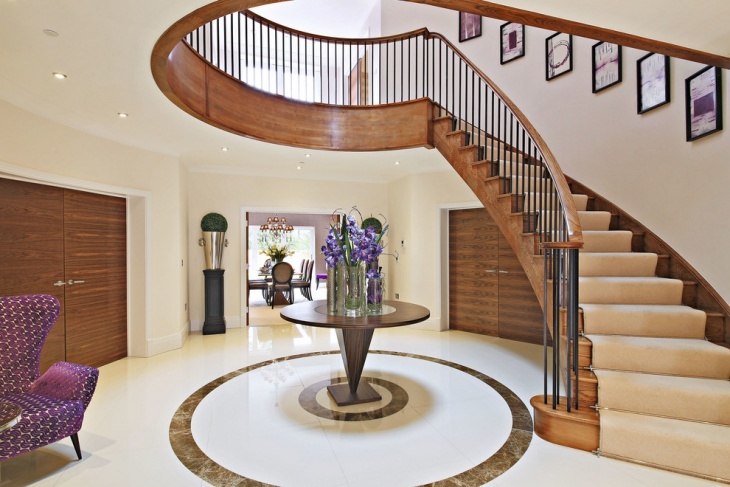 This winding mansion staircase is designed with wood stair railing. The wood has a polished light brown color, which is the perfect match to the wooden doors on the ground floor, and adds a nice contrast to the light colored main motif. 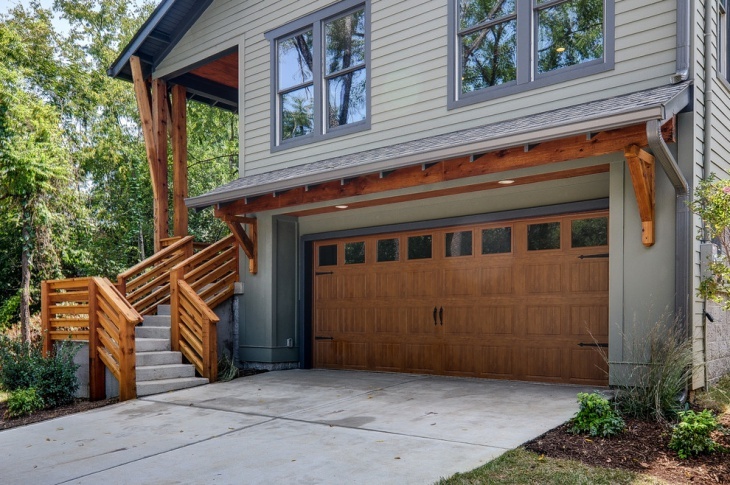 The staircase leading to the garage door is made of concrete and it is matched perfectly with the concrete driveway. To provide a nice contrast, wood is used for the stair railing, garage door, deck posts and other garage outside features. The stainless steel stair railing used for the winding stairs add elegance into this modern open space designed interior. 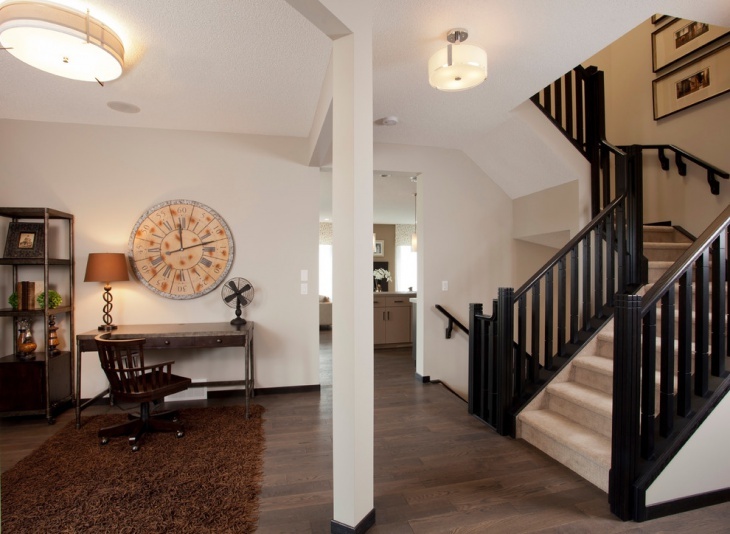 The rich brown color of the wood stairs match the white concrete base to perfection. 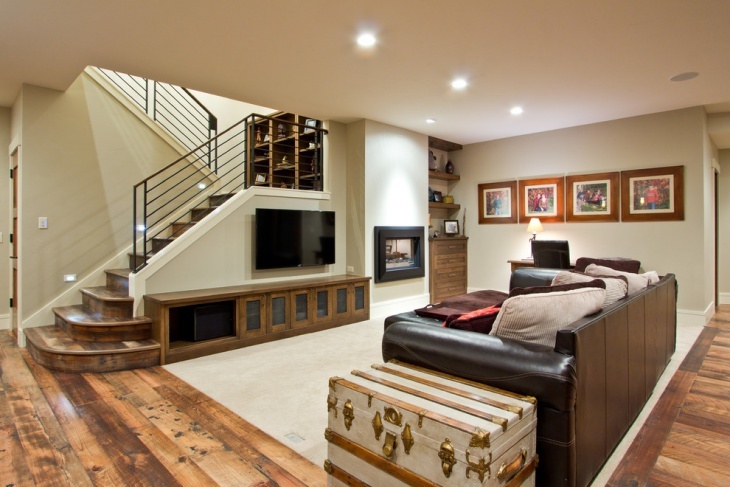 This basement stair is designed to provide a perfect wall for the TV and the media cabinet. The base of the stairs have three steps in increasing sizes. 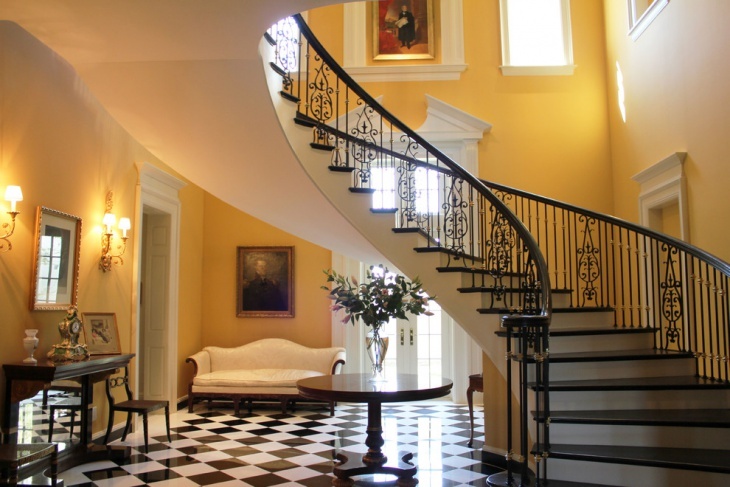 To add support and elegance, painted stair railing is used. 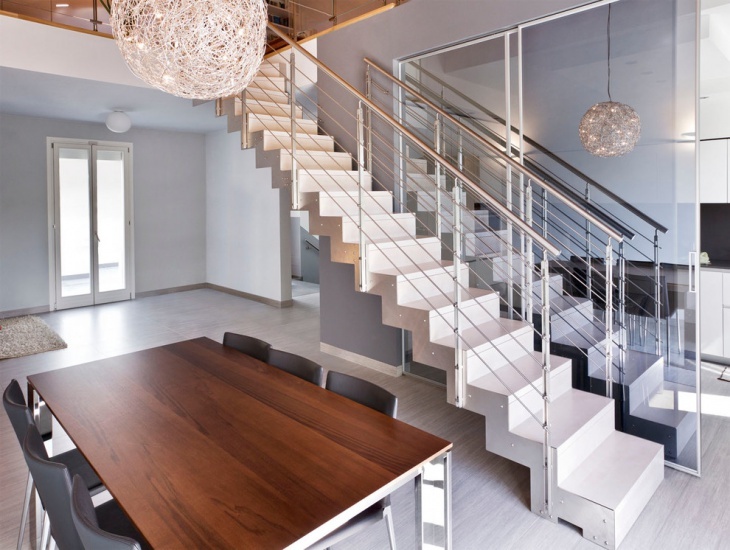 The staircase used for this modern interior is made of stainless steel and it is powder-coated. 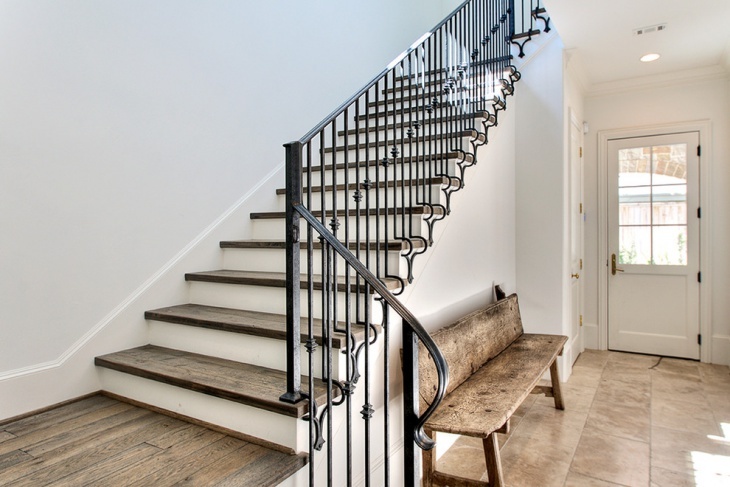 The stair railing has pretty clean lines of the stair rail with metal handrail pipes. 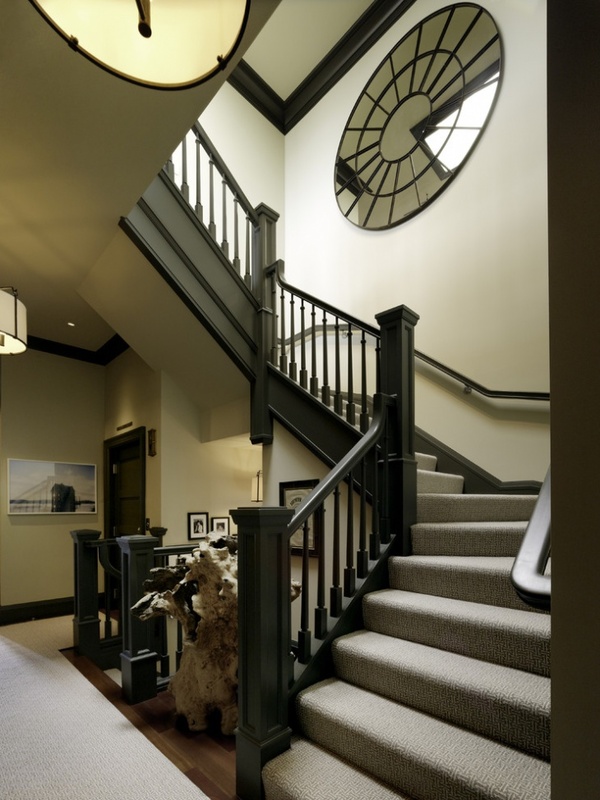 The overall effect of the staircase setup is both modern and industrial. This porch is very traditional and dreamy in design. It is something that you may want to add into your home outdoor design. The white painted wood stair railing extends to the sides of the porch and the design and color perfectly macth the natural wood color of the floor. There are different types of stair railings. 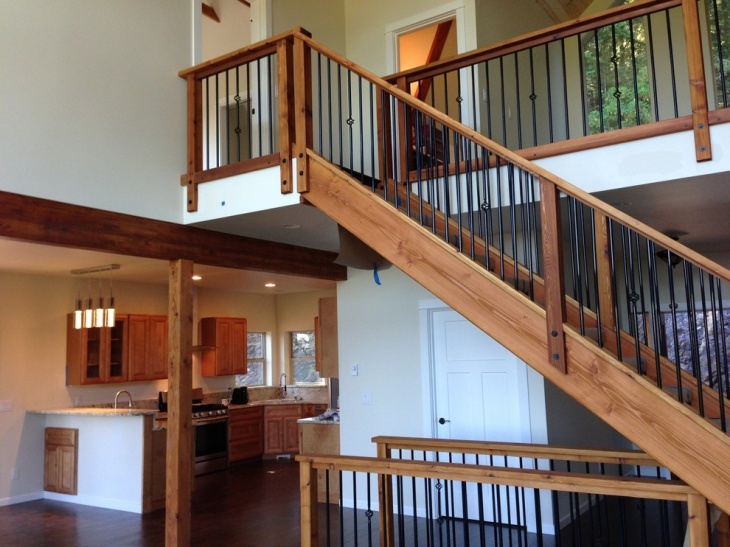 You can go for a wooden railing if you have either wood or concrete stairs. 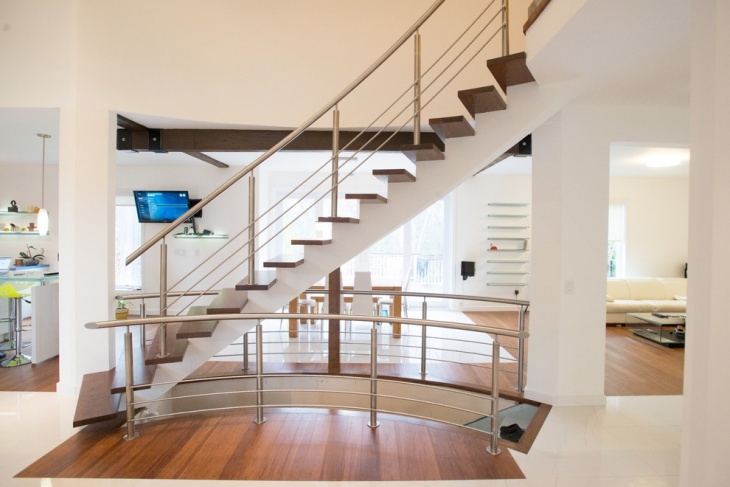 Stainless steel stair railings are very common too, especially for interiors done in industrial concept. 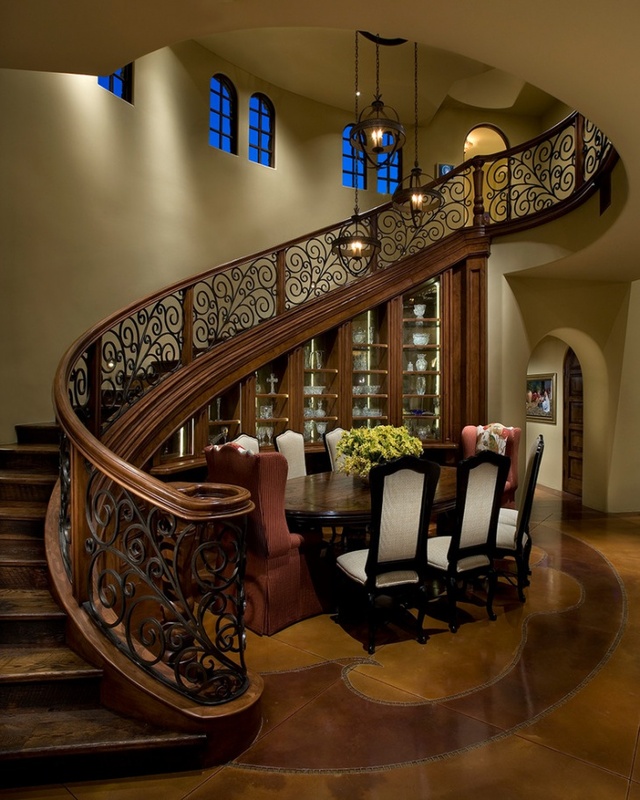 You can include a simple stair railing for a small staircase with a small desk underneath.